 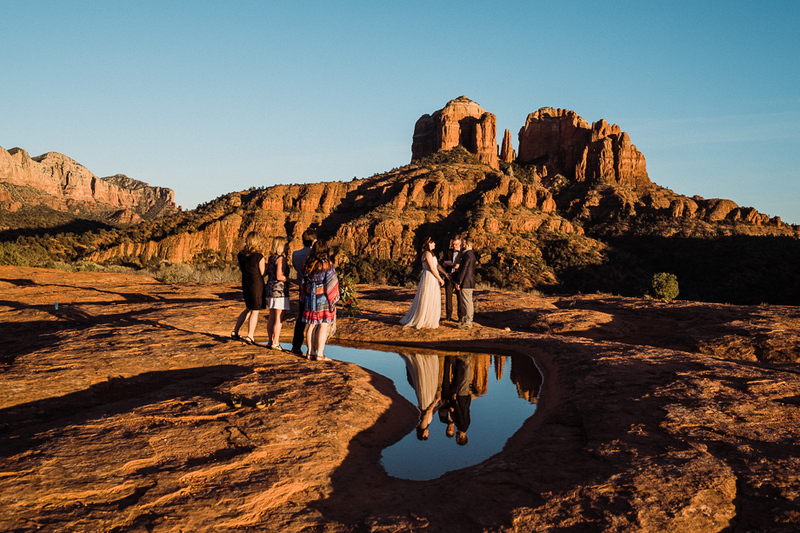 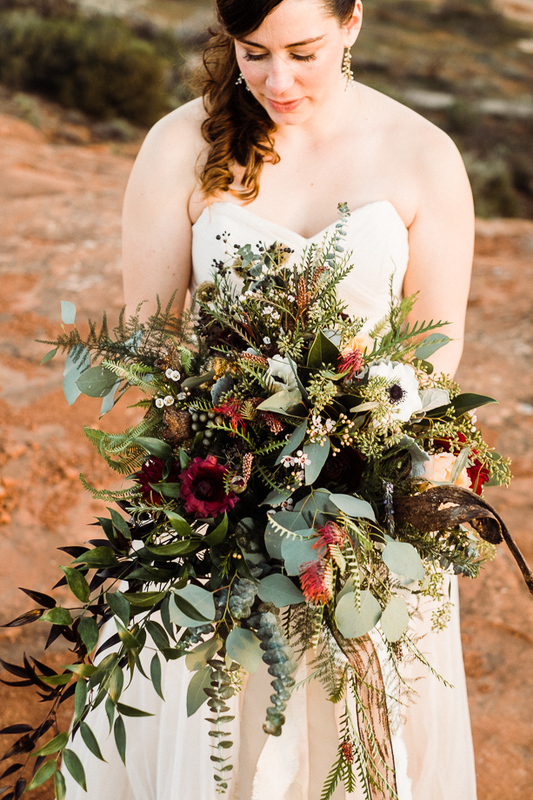 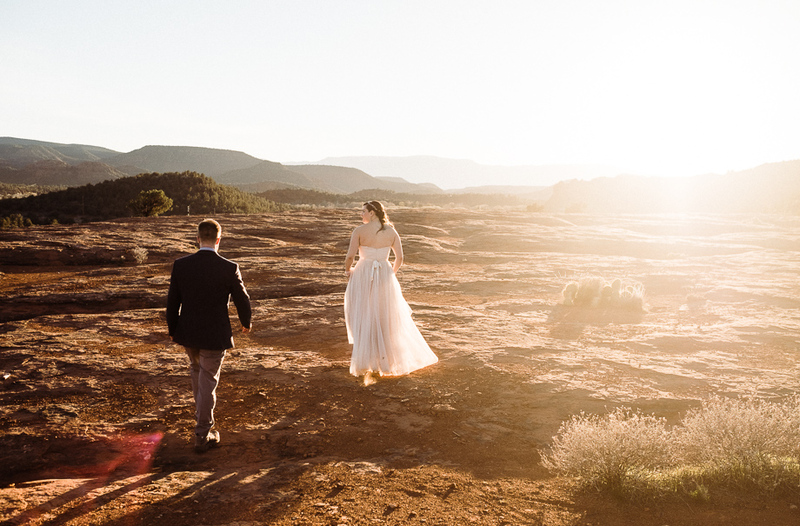 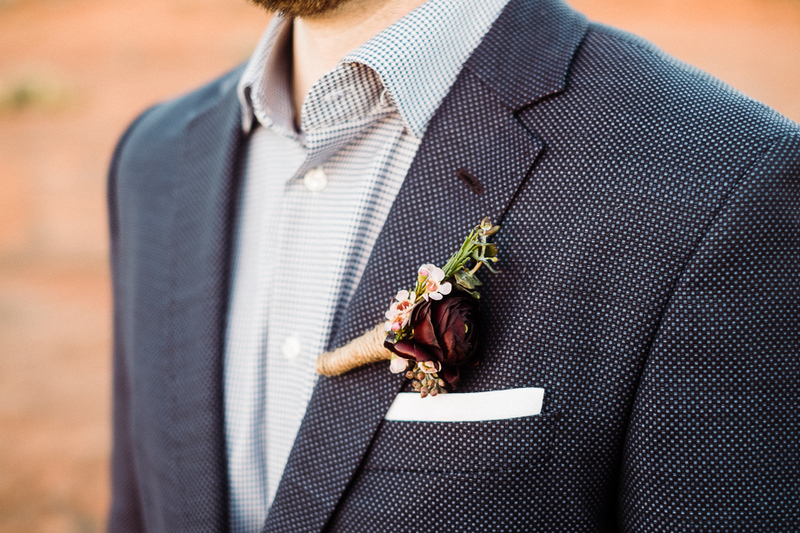 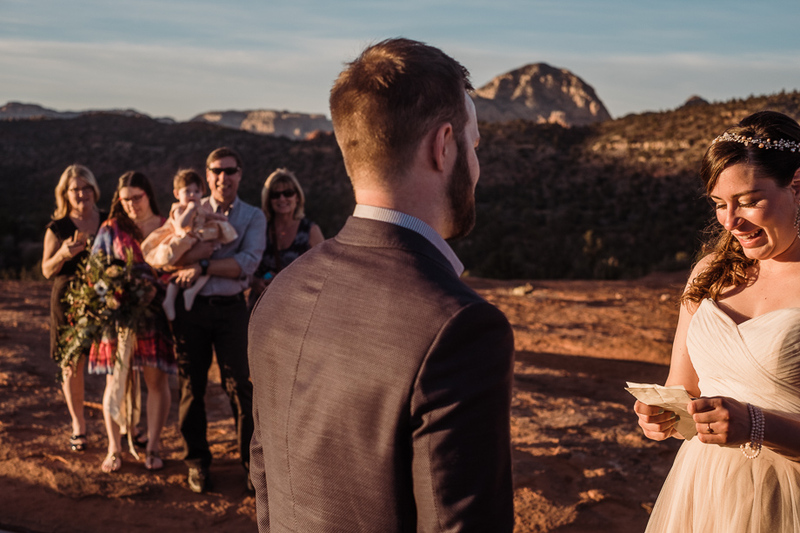 Andrew & Mallory // Elopement in Sedona – Lucas Mobley Photography Inc. 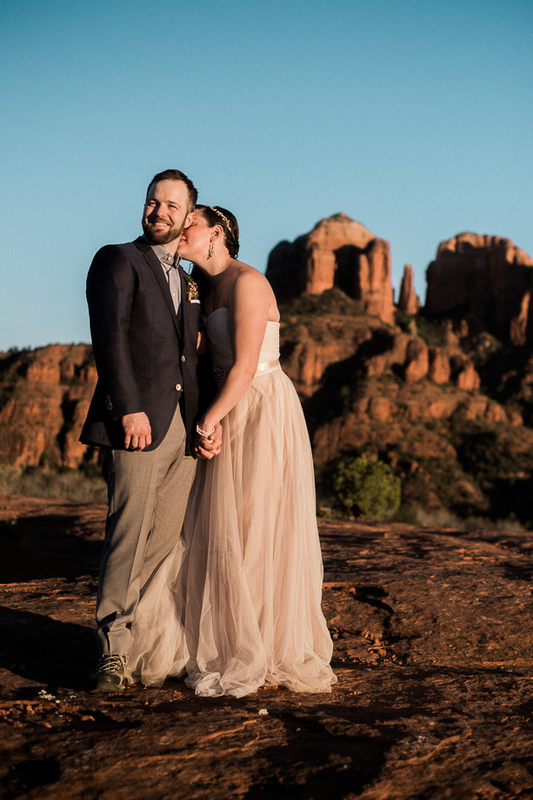 Many say the red rocks of Sedona have a voice. 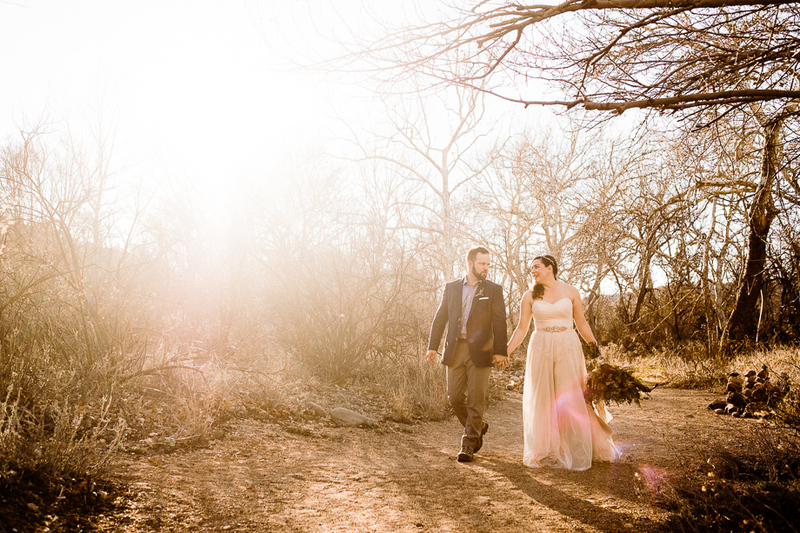 Some people hear it whisper with the wind, sometimes it is loud, sometimes soft. 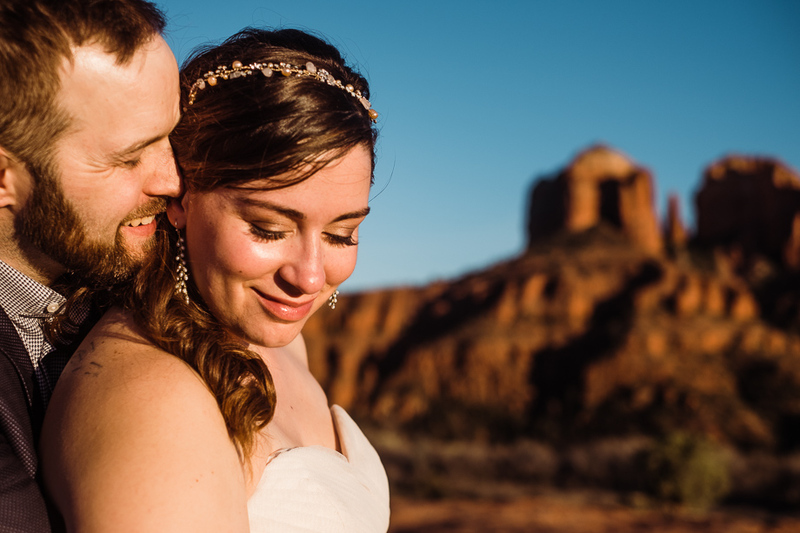 This winter I spent the rainy months soaking up the warmth and sun of the Southwest. 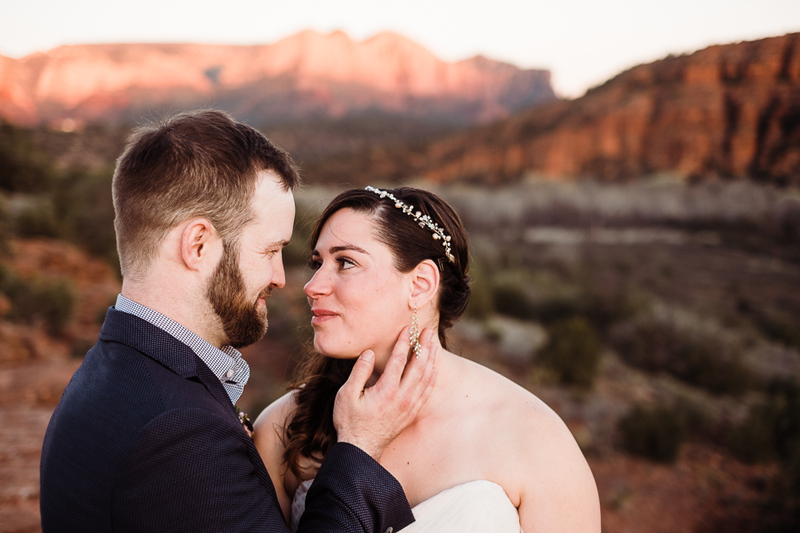 I was scheduled to photograph Andrew and Mallory’s elopement in the mountains of the Pacific Northwest this summer. 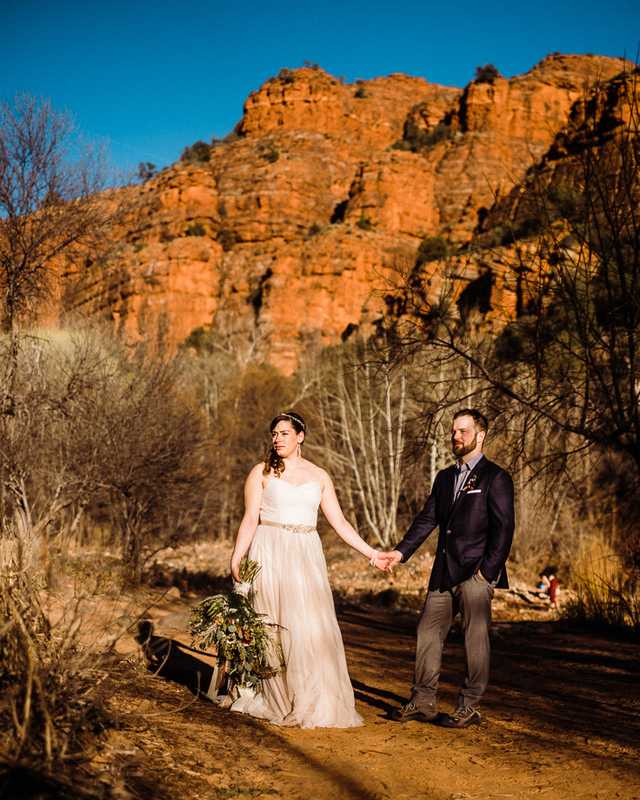 After seeing my Instagram they decided to rearrange plans. 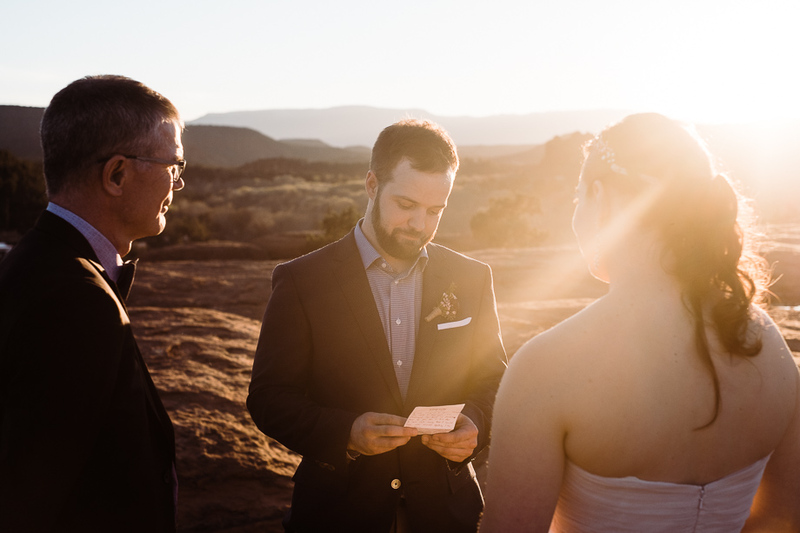 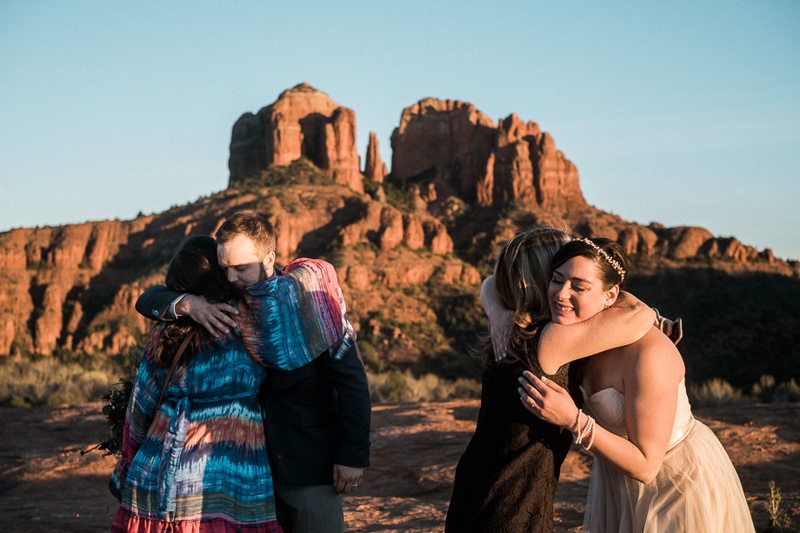 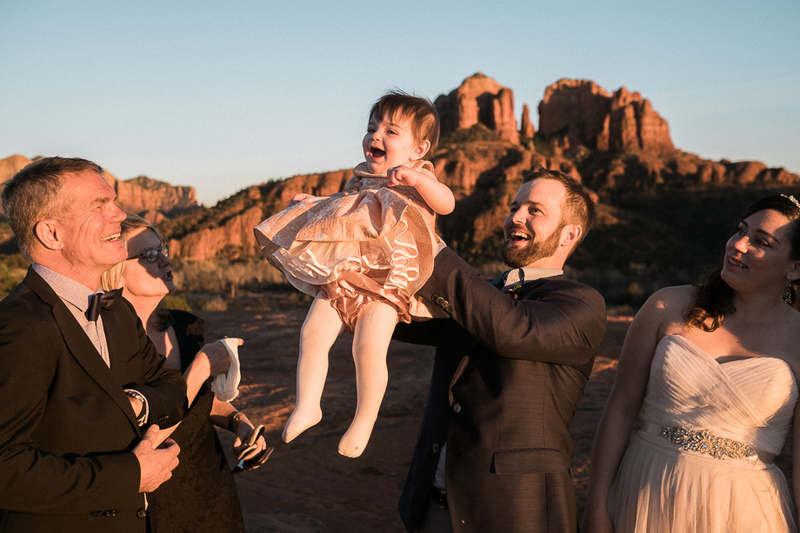 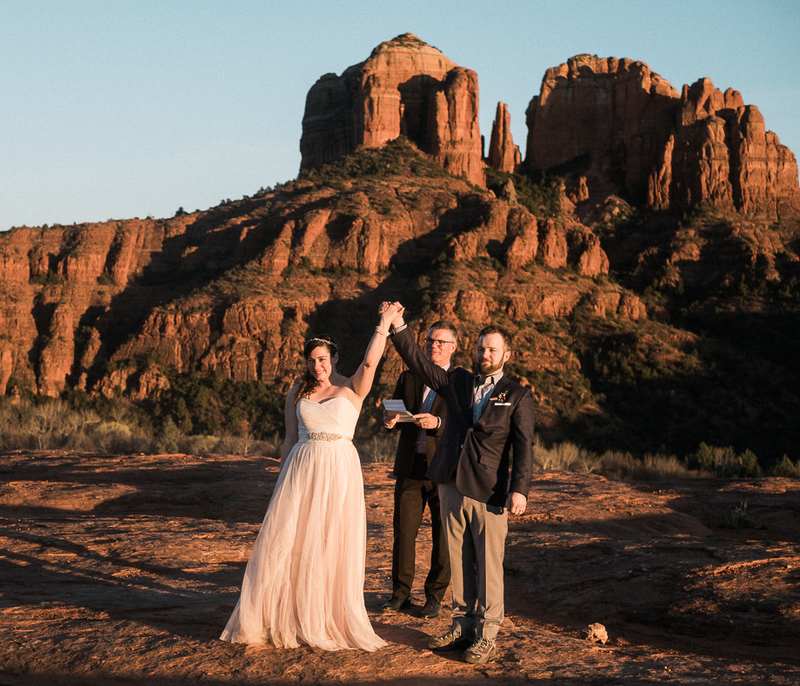 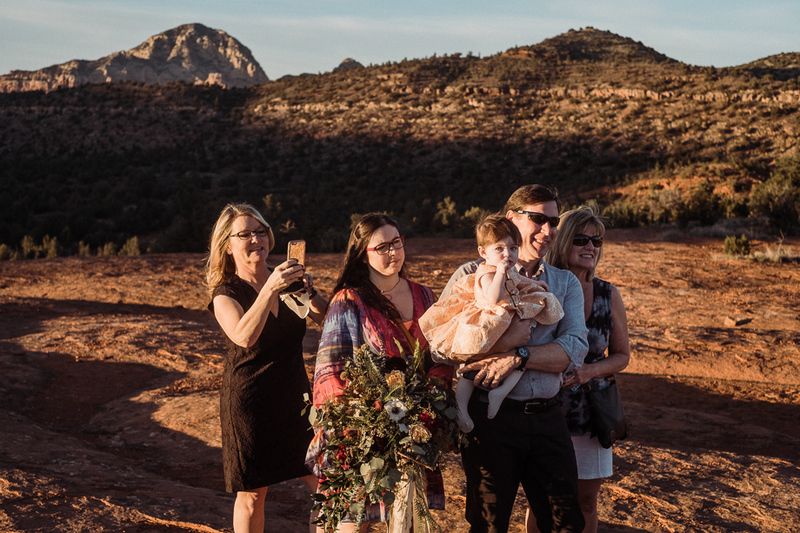 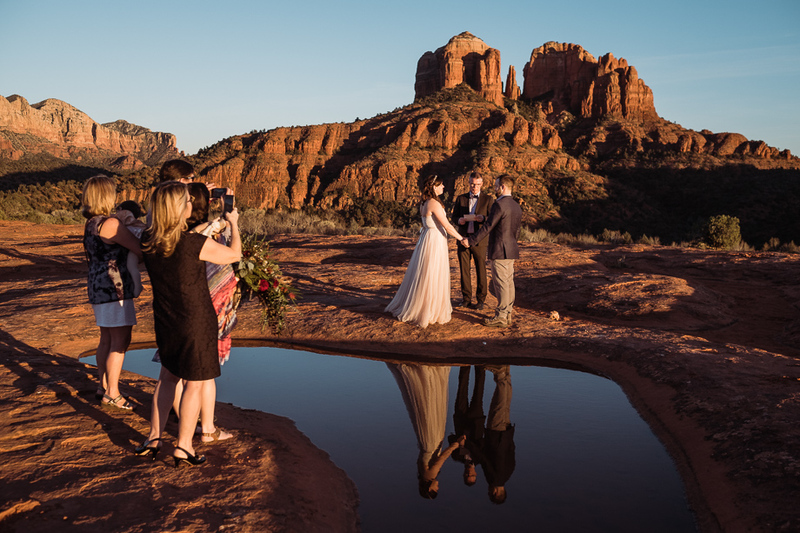 With a small group of close family, their daughter and Andrews father as the officiant we walked past cactus onto a rock outcropping bellow Cathedral Rock just before sunset. 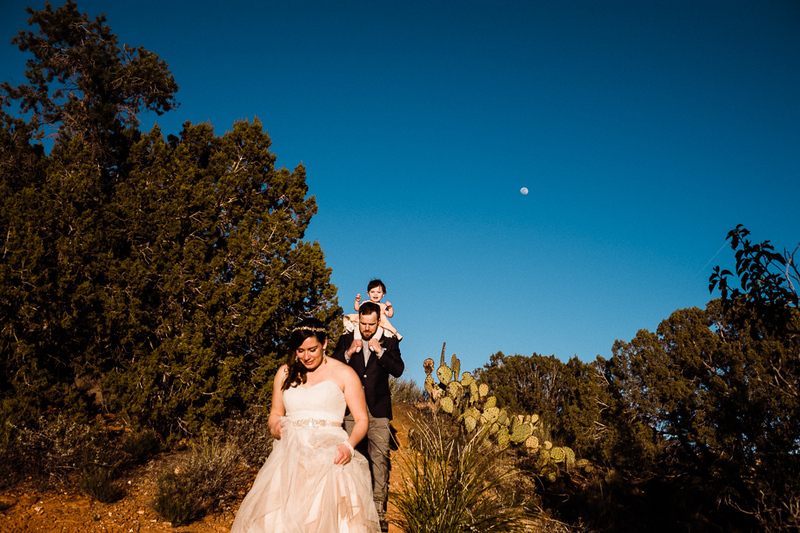 The air was warm, the mountains seemed surreal. 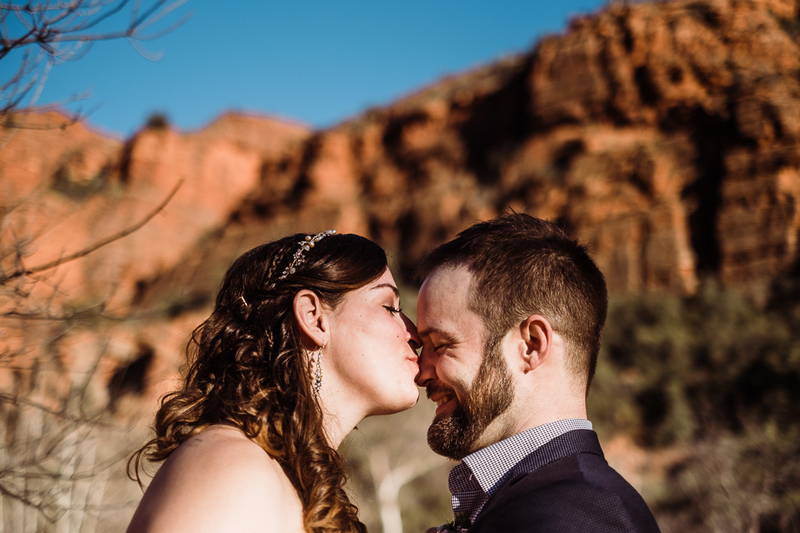 Their words to each other were from their hearts.